Faber-Castell Classic Glitter Glue is ideal for decorations and special effects on paper, card and fabric. Particularly effective on black paper, glitter glue can be applied to most surfaces for stunning results. 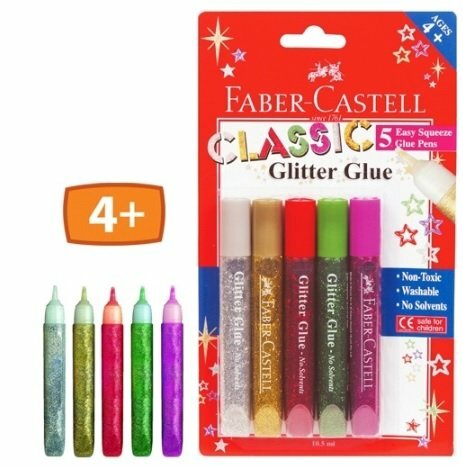 Easy squeeze pens each contain 10.5ml of glitter glue. All the tubes have a Childsafe click seal cap and are non-toxic and solvent free. Washable from most clothing.